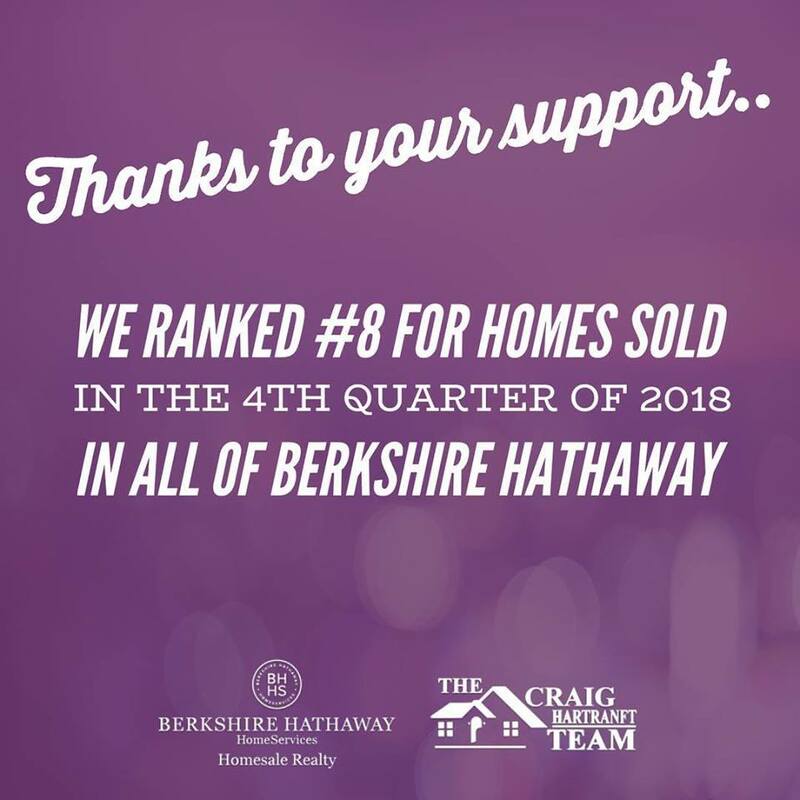 The Craig Hartranft Team ranked #8 for total homes sold in the fourth quarter of 2018 in Berkshire Hathaway’s network. This ranking is out of 49,000 agents worldwide. We are incredibly thankful to all of our family, friends, and clients who continue to support us. We couldn’t achieve things like this without your support!